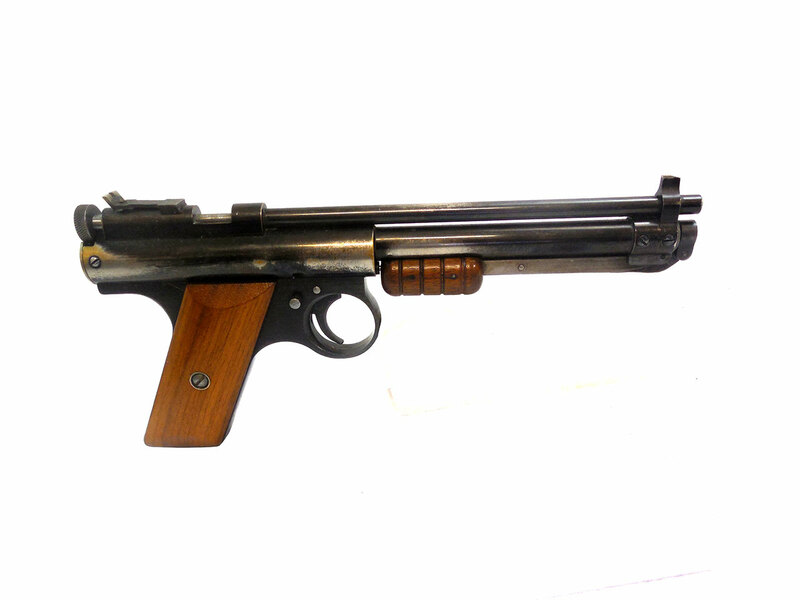 If you’re a collector you’ll really appreciate this airgun. This one comes in the original box, and includes the original guarantee, manuals, and other literature. 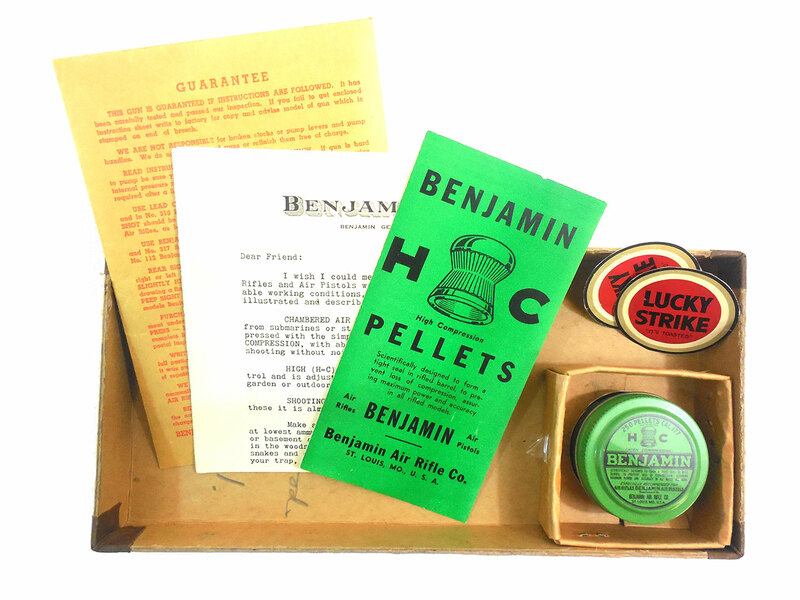 It also includes an original tin of Benjamin High Compression Pellets. The tin only has 10 or so pellets left, but is in great shape. It looks like someone cut out the old Lucky Strike logo from cigarette packs, and may have been using them for targets. 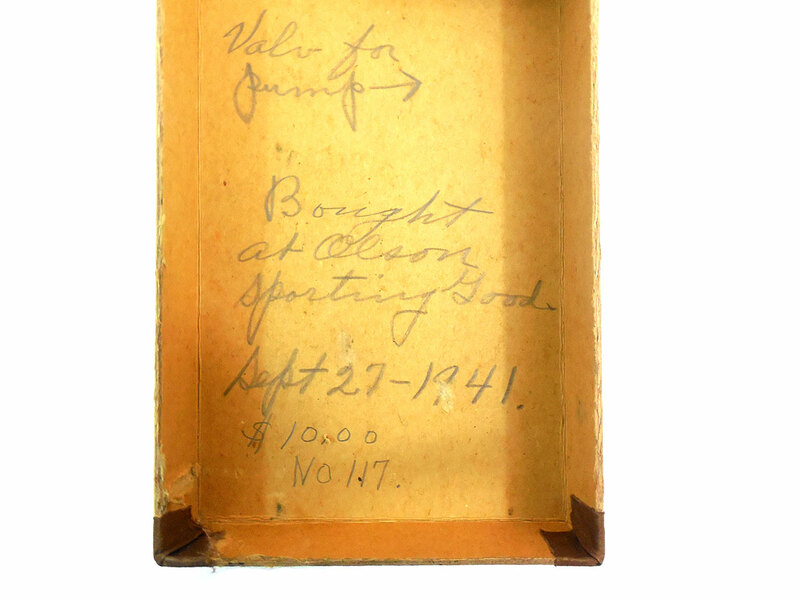 Something else interesting is the writing inside the box which reads “Bought at Olson Sporting Goods Sept. 27 – 1941. It even shows the price of $10.00. You would be hard pressed to find something like this again. 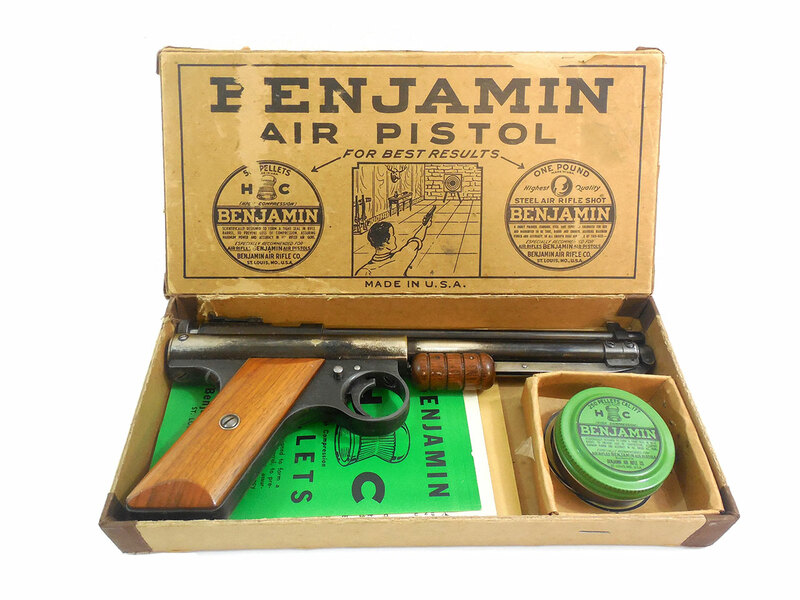 The Benjamin 117 is a .177 caliber, single shot, multi-pump pneumatic pellet pistol with a grasshopper pump. 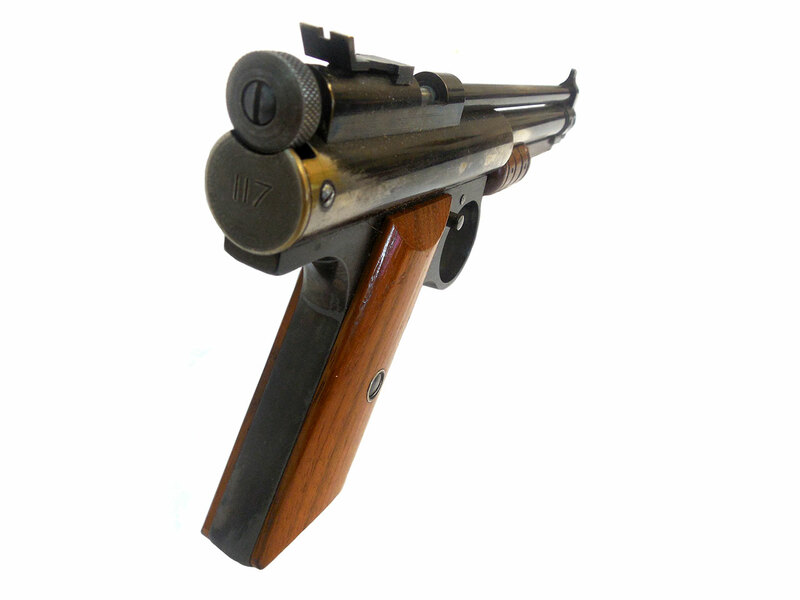 It features a black nickel finish, walnut stock, and was manufactured between 1938 and 1941. The metal on this gun retains a lot of the original finish, I’d say at least 80%. The wood grip is in excellent condition. It’s a great looking gun overall. We tested this gun in our shop, and it’s shooting around 287 fps using lead pellets. 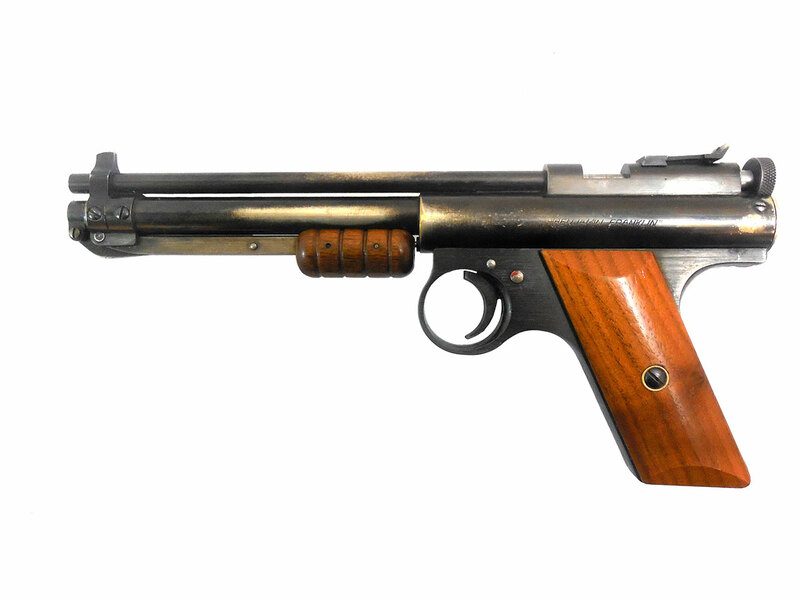 This is a great collector’s gun, and still shoots so you can have some fun with it too!